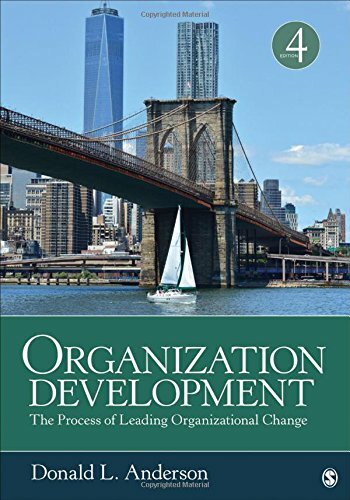 1506316573 – Organization Development: The Process of Leading Organizational Change, Fourth Edition offers a complete look at individual, organizational change, and team, covering classic and modern organization development techniques. Practitioners seek a solid foundation that is academically demanding, but also appropriate, practical, timely and grounded in OD values and ethics. In this book, author Donald L. Anderson provides students with the organization improvement tools they need to succeed in today’s interesting environment of increased globalization, rapidly changing technologies, economic pressures, and changing workforce expectations.